OSWEGO, NY – When Oswego Speedway’s King of Wings VI spectacular takes the green Saturday night, it will feature the 2014 championship leaders from the International Supermodified Association, the Midwest Supermodified Association, as well as Oswego Speedway. ISMA’s Jon McKennedy, Oswego Speedway’s Otto Sitterly, and now the MSA’s Trent Stephens will all be in action on July 12. MSA Supermodified point leader Trent Stephens will join the best of the ISMA Supermodified series and Oswego Speedway point leader Otto Sitterly in pursuit of the King of Wings VI title at Oswego on Saturday. Stephens announced on Wednesday that he and his ACME Racing No. 19, which currently holds a 29-point edge in the MSA standings, will come to the Port City to contend to wear the cape and crown as a part of the ISMA Supermodified King of Wings VI championship at Oswego. First coming to Oswego in 2009, Stephens went to Turning Stone Resort Casino Victory Lane at the ‘Steel Palace’ in his first attempt, driving to victory on May 23 of that year fending off Randy Burch, Jason Spaulding, Pat Lavery, and Charlie Schultz on his way to the win. Two years later Stephens scored another top five finish and his best career finish in the King of Wings, with a fourth place effort in 2011 behind Mike Lichty, Tim Ice and Tim Jedrzejek. The ACME Racing No. 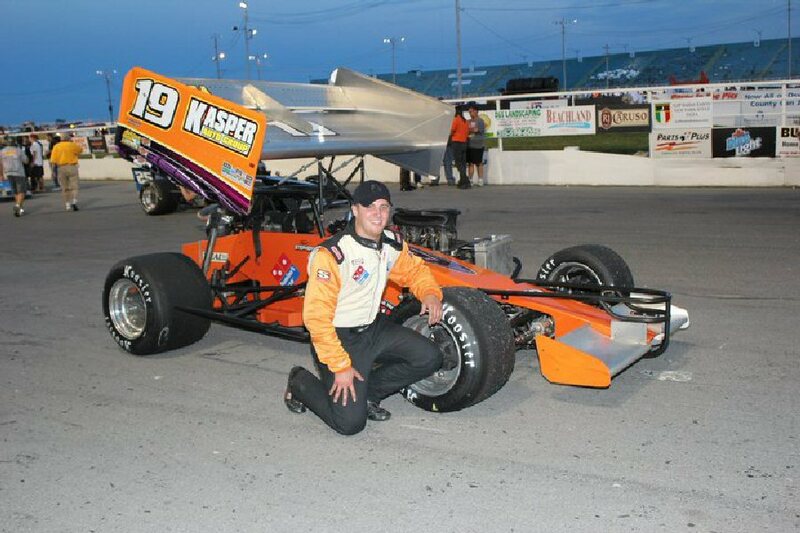 19 will now return to the Speedway after a couple year layoff to go toe to toe with the best the ISMA Supermodified series has to offer on Oswego’s neutral ground. Once again part of King of Wings at Oswego Speedway will be the Speedway’s Old Timers Reunion, which will take place at Lighthouse Lanes in Oswego beginning at 10 a.m. featuring former Speedway drivers and restored race cars. Tickets for the reunion are $16 per person which includes all non-alcoholic beverages. Present Your Old Timer Reunion ticket at the Speedway Box Office and receive $5 discount for grandstand general admission or $10 for pit pass discount. For more information on the reunion call (315) 342-5149 or (919) 233-9437. Tickets are on sale now for King of Wings VI. Tickets can be purchased at the Speedway box office or by phone. To purchase tickets for the 2014 racing season call the Speedway box office at (315) 342-0646.